The Westfjords region is a large peninsula jutting out towards Greenland from Iceland’s extreme northwest corner. The region is dominated by sheer cliffs that plunge dramatically into the sea and a countless number of fjords, some small, some large, which are carved into the coastline. There are a number of tiny fishing villages clinging to the edge of the peninsula. The largest settlement, Ísafjörður, has fewer than 2,600 inhabitants, all of whom live on a spit of flat land which juts out into a fjord. The best time to see the lights is between September and March. Small though it is, there is no need to leave Ísafjörður to see the northern lights. It is sparsely populated, and the easiest place in the region to get around. As you might imagine, there is little or no light pollution at night, and the lights can be seen strong and clear thanks to the region’s close proximity to the Arctic Circle. Dynjandi waterfall is in Geirþjófsfjörður, known as "the middle bit" of Westfjords. The falls spray water vapour into the air, creating a mist that carries the flashing lights across the area in a most spectacular way. Bolafjall is a tall cliff overlooking the village of Bolungarvík and it offers extraordinary views--some people say all the way to Greenland. Certainly, the northern lights between Iceland and Greenland are brighter and stronger than almost anywhere else thanks to the solar winds channeling between the two islands. It can be extremely windy at the top and the road to get there takes strong nerves! Reykjanes geothermal area is an Olympic-sized natural hot pool next to the sea, close to the road, and with a wonderful view of the mountains. It’s a perfect (and romantic) place to watch the skies glowing with the northern lights. The Westfjords are remote, with tiny settlements clinging to the shoreline. Naturally there is no light pollution to cloud your view of the lights. The views of the towering cliffs and mountains and sparkling lakes are breathtaking and there are more than enough hiking paths on the very edge of Iceland to keep the most committed walker happy. Because of its remoteness and historical disconnection from the mainland, from when the 10km isthmus was covered in ice, fishing has become the mainstay of this region. Route 60, the only major road in this part of the country, leads from the beaches and villages next to the sea, up and around the mountains. It’s not the easiest place to get to. 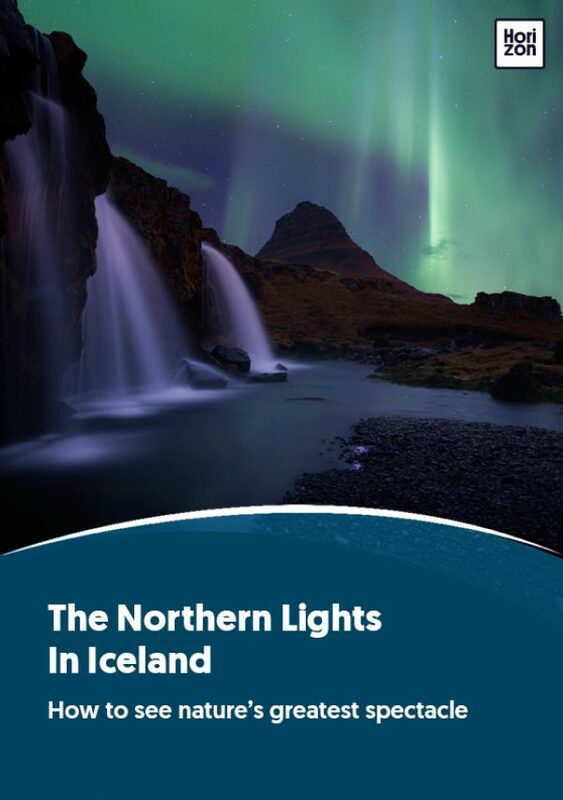 You’ll need to drive from Akureyri or Reykjavik, or fly from Reykjavik on one of the twice daily flights. Keep in mind that during the winter, there might be weather advisories and road closures, so monitor the forecast closely. The Westfjords region is a great place to venture out and experience the great Icelandic outdoors. There’s horse riding along the sea cliffs and surrounding hills; there’s fishing (fresh and saltwater), and there’s some great skiing on illuminated ski slopes in Ísafjörður. There are some interesting folksy cultural attractions too. In Þingeyri village you’ll find a Viking village and working replica Viking longboat, and a witchcraft museum at Hólmavík.